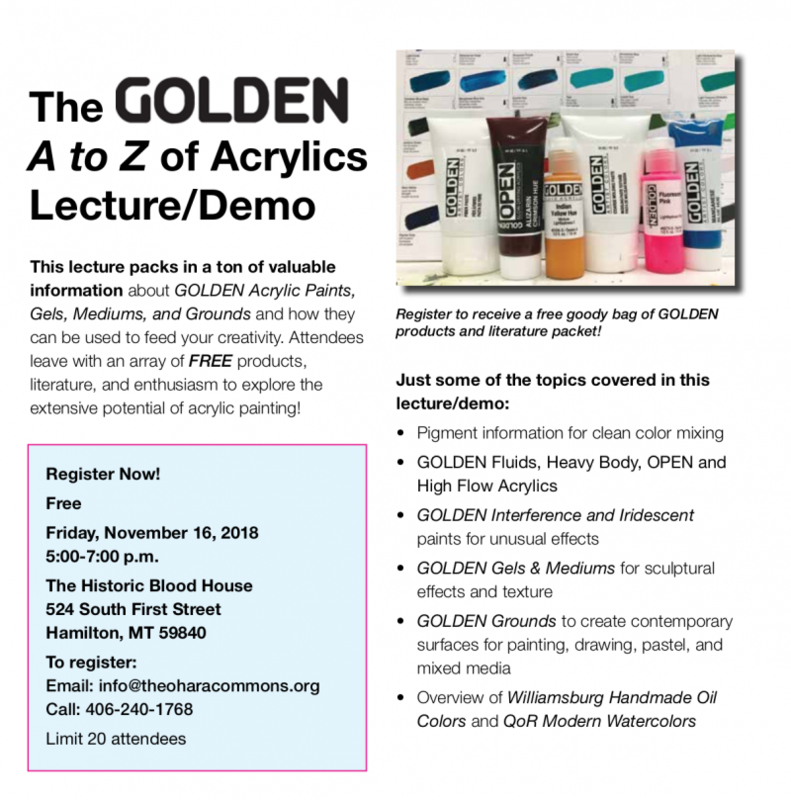 This is a free demonstration and lecture. 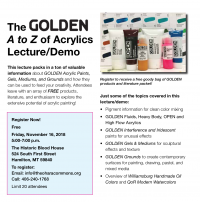 Nancy will introduce attendees to Golden mediums and sharing with us the techniques and nuances of using these paints. A perfect time of the year to pull out our palettes and delve into our creativity.